Hello Steemians, if you have come across my husband's side sister-in-law's @happycrazycon's post to gather funds for my son some time ago, or other crowdfunds or charities that had been done to help people in need here, we all would know that this platform is full of helpful people that are willing to be generous and kind. I could never be thankful enough even until today. This shows humanity still has alot of love, hope and passion for the humanity. This is a post genuinely to gather fund to help my brother and my sister-in-law. @denion is my brother. We are from Malaysia. 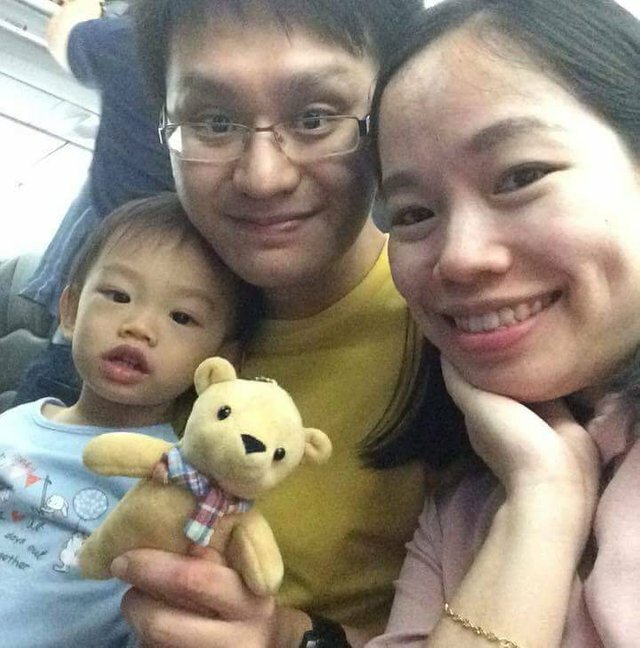 His wife, Wang Pei Yee just had emergency labour on 22nd May at 27 weeks due to water broke that coupled with bleeding. 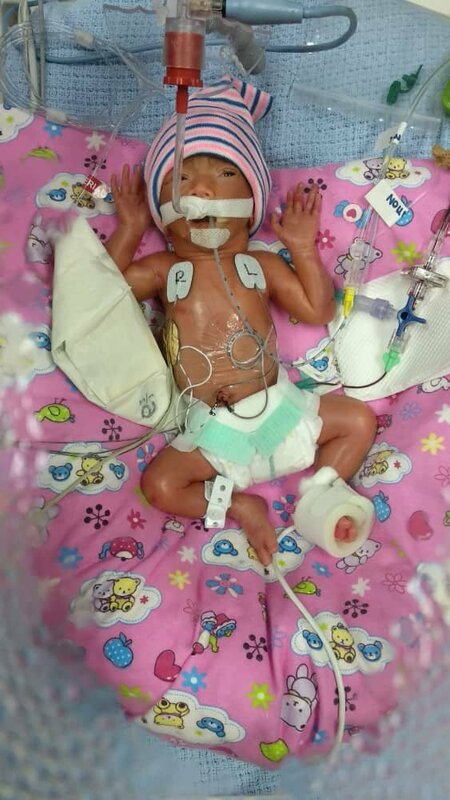 Baby girl is very premature and very small size at 970gram when birth. Then dropped to 790gram in 5 days time (doctor said will gradually go up again if her lungs are picking up in growth and strength). On 22nd morning, they had regular checkup and found out the cervix had dilated abit. Gynae asked them to go home and rest as much and hopefully the dilation would not go further. Towards evening, suddenly water and blood flow out to the feet and the wife got panic and quickly called my brother. That was when she also felt contraction became intense, like she was going to "poo" anytime. 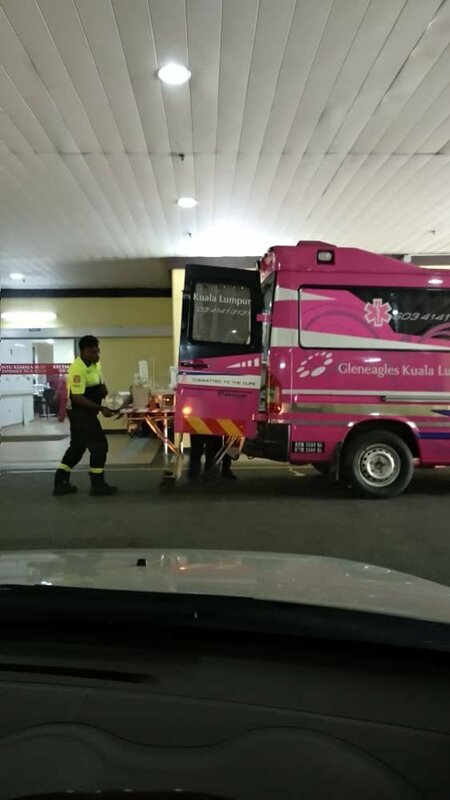 They had to have emergency birth at private hospital as our government hospital might not have incubater ready for the premature baby considering it was an emergency case. Our government hospital works in such a way that if you come in as emergency birth and there is no incubator and/or ventilator available, then they will let the nature takes its course. In other words, they will let the baby gradually pass on and gain her or his wings to heaven. Of course they would not want to take the risk. So off they went to private, the nearest one, to save the baby and the wife which is more crucial. Could not be bothered by the finance first. Thank God both were safe despite the scary moments of being stucked at severe traffic jam and she was heavily bleeding already. Despite both were safe, doctor did say it was a risky case as baby was very premature (just entered 27weeks). 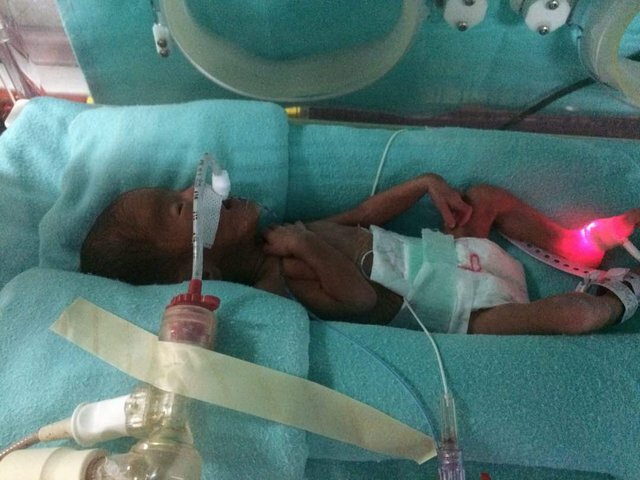 We are praying as baby grows in incubator she will not face any other complications. 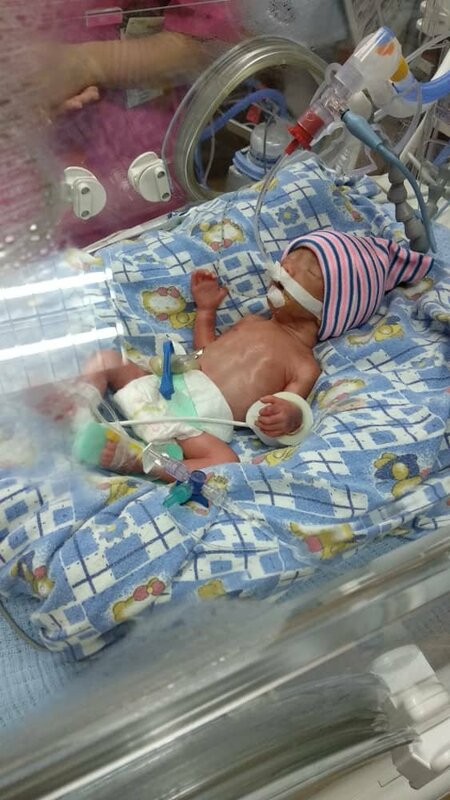 From 22nd May to 25th May, baby was at private hospital at NICU and with breathing support (intubated). 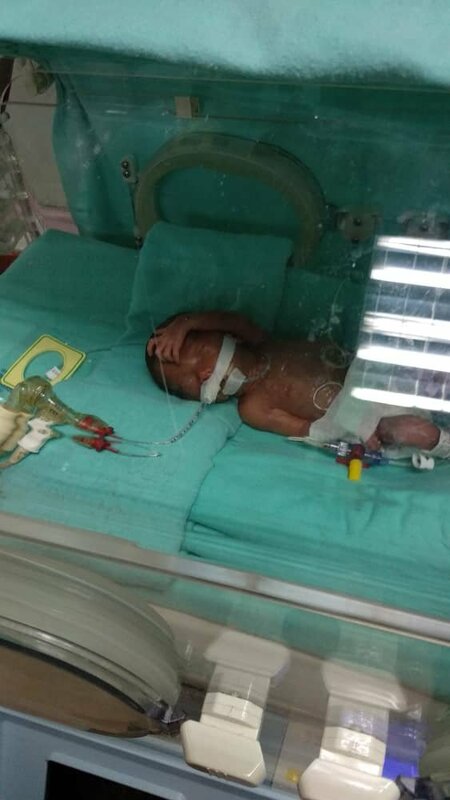 During these few days, they were praying hopefully baby could be transferred to government general hospital soon as the bills was escalating each day. 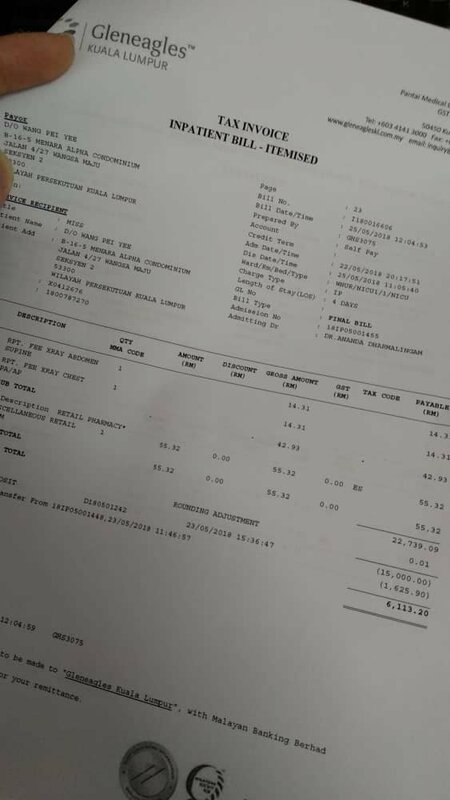 Towards the 3rd day admission they were asked to pay (ringgit malaysia) RM15000.00 (2290 SBD) for deposit. By 5th day, bills had reached RM22739.09 (around 3235 SBD). I attach a photo of the bill here. Our eyes literally opened up wide due to shock. Both the husband and wife are not filthy rich and they have to take out most of their saving to settle this bill. I am not a wealthy sister too, and I have my own medical & financial needs to attend to for my son. Therefore, I resort to this platform to plea for help, to gather funding to support their livelihood. Sad to say, his case (emergency premature birth) is not covered by insurance so eventhough with insurance bought, it does not help at all. I know it is a huge amount but this is not to gather fund to settle the bill but to support their livelihood as they have used up alot of their savings for that particular RM 22k bill. My brother @denion will never ask help from people as he is the type go all out to help people instead of asking people for help. So I am going to do this to help him. I know there is hope in this platform. Although I know SBD value is low now, I will still try and see what magic and miracle can be done here in this platform. I know my brother @denion is somehow stressed right (although we are from the same breed, we know how to hide so that we won't make other people worry about us) as he is also need to juggle between taking care of wife, going to and fro to NICU and home, plus still need to take time to meet clients. I believe a boost help from Steemians for his livelihood will help to lighten his burden. I am planning to raise fund for his half-month's livelihood including house expenditure as well as hospital bills plus all the expenditure to take care of his wife's maternity confinement needs. This is to help them cover the money they had spent for the costly bill, to kickstart their life before he gets his next salary. Besides the premature baby, they have one beautiful daughter too. My rough calculation for their half-month's family expenditure will be around RM1600 which is around 250SBD (based on the value of SBD today). The SBD number is big due to SBD drops in its value (but I am positive it will pick up again). If at the end of the payout, the target is not hit, still most importantly, love and kindness have been shown, and it will be remembered forever. And every little support (even an upvote) surely amounts to something - and that something itself is very valuable. Thank you so so so much in advance for whatever support given. Thank you ❤ Who knows we can hit more than 250SBD? By the way, any amount can send to my account with memo "for Denion" because I will be the one cashing out and pass to him personally after the pay-out. 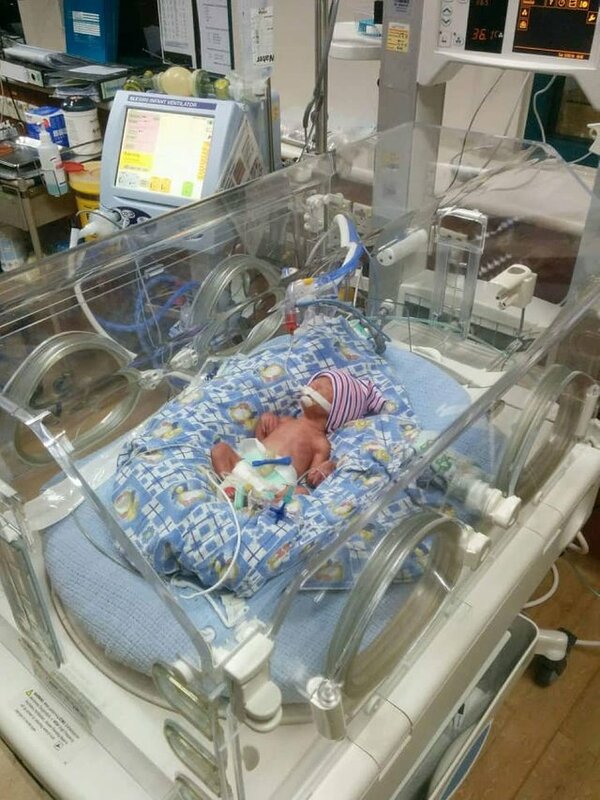 P/S: Thankfully on the 25th May evening, there was incubator & ventilator machine available at government hospital, plus the baby was also stable enough (eventhough there is a risk present) to be transported via ambulance. From 25th till today the baby is being cared for NICU government hospital which is not so expensive compared to private hospital. She is considered stable although she needs some blood transfusion as the blood hemoglobin is very low. No more photos after this as we were told photos and videos are not allowed in government hospital as one of their protocols. Note: I, Jadeline Lee, goes with the handle @iamjadeline, hereby vow that whatever I blog here is true from real life. It is by no means made up just to pitch for funding. It is a sincere cry for help in times of emergency. Thank you all for your time and heart here. All quotes are taken from ww.brainyquote.com except one that is from me. Our prayers are with your family Jadeline. Stay strong especially your brother and sister in law! Send our love and support to them! My prayers are with @denion and the family. All will be well. Yes that is the promise we hold on to. Thank you @zord189 for the upme. Good luck, I hope everything goes well, sending good vibes. Thank you @anomadsoul for the good vibes. and also good vibes to all of us in the final quest 😉 We may be crushed inside but we are not defeated. I mean my brother and my family. Thank you again. Shooting prayers over and up, will do my part. Good to see so many people responding. Indeed this platform never fails when kindness is in need! My prayers and love are with you @iamjadeline @denion. Sending love over to you! Sorry to hear that, will transfer 5sbd to u, not a big amount but hope can help a bit. It is still a big amount to me. Every effort count and it amounts to something amazing. Thank you @auleo. It is as of now. We go day by day. Thank you Alvin. Now my son every day says I want to watch Alvin...the chipmunk. Take care bro @howtostartablog. We are going Melaka on 8th church camp see whether can meet up for makan. there is one night free and easy. Im one of the fundition ambassadors for Hong Kong. hi @prch just want to ask since I had crowdfund here, is it still permissible to have another one at @fundition? No conflicts at all. This post is about your internal crowd funding but on fundition, it may be on a larger scale. Don’t worry. Sending prayers and lots of love to @denion and family. Hang in there! Yes we are praying. As long as she sail through the ordeal till 1.8kg then she will be in safe zone. Now need her lungs and heart to be strong all the way. Thank you @wilhb81. You were premature baby too? Glad you are well and alive now. So sorry to hear about this @iamjadeline. Your family is in my prayers and thoughts. It so heartbreaking when it happens like this and I'm sure it is an extremely difficult time for you all. Yes it is difficult but we are trying to hold it together as life still need to go on. There will be new grace for them to handle this situation. Thank you @jusipassetti. My prayers and good wishes are with you. You got a 16.20% upvote from @upme thanks to @zord189! Send at least 3 SBD or 3 STEEM to get upvote for next round. Delegate STEEM POWER and start earning 100% daily payouts ( no commission ). i am tearing when reading this, pray for the baby and mummy. I always have a thought why insurance cant help when we needed the most :( i am sending 10SBD hopefully can help a bit. Insurance does not cover knowing that some (hope not many) will cause premature to happen to take money from insurance company. Some insurance company will compenaate one lumpsum in lifetime for premature after total investigation. Too bad they did not buy from that company. We found out later. oh is this RM22K include the child birth delivery charges? Nope not included. 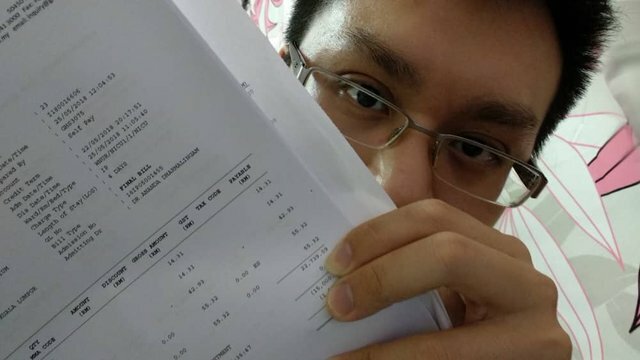 The mother's bill is a separate bill of RM3.8K, @janicechua. You got a 43.91% upvote from @ocdb courtesy of @howtostartablog! @iamjadeline , this is awesome! In 4 hours the post is already above $100 ! This is the power of the love of Steemit community! Thanks to all the first-responders to the post! You guys are just simply awesome! This is really the power of love in this platform. ❤ Thank you @littlenewthings. All prayer to the family... hope all will be fine.. all is well. Thank you @bboyady ;) yes hope all is well. You got a 12.13% upvote from @upmewhale courtesy of @howtostartablog! Congratulations! This post has been upvoted from the communal account, @minnowsupport, by Alimamasstory from the Minnow Support Project. It's a witness project run by aggroed, ausbitbank, teamsteem, theprophet0, someguy123, neoxian, followbtcnews, and netuoso. The goal is to help Steemit grow by supporting Minnows. Please find us at the Peace, Abundance, and Liberty Network (PALnet) Discord Channel. It's a completely public and open space to all members of the Steemit community who voluntarily choose to be there. Oh noes.. Our prayers are with @denion and family. My thoughts are with your family and their precious baby! I can’t begin to imagine the emotions they are feeling at this point. Sending thoughts and love from Australia. Thank you all the way from Malaysia to @mumofmany. They are holding to God's promises and positive vibes as well as everyday visit the baby and talk and sing to her. This is the best doctor said they can do now to help. My prayers to the baby and your family. All will go well. I have re-steemed your post in order for more people to know about your cause. I hope this helps! resteeming, u could always use an extra. Upvoted and Resteemed. Will support for any good cause. Prayers for @denion and family. Jesus loves the little children. Blessings!! Thank you @coachmelleow and yes Jesus loves all children. My prayers to @denion and family, sending love and healing lights to the baby. Please take care. Thank you @joelai and will take care. You too. @yasminep and I donating our collaboration steem post payout recently to Denion. Its not much and more hopefully will come. With Love and Prayers sent to you , @denion family and baby. Hope everything goes well @iamjadeline. Sending love and prayers to the little one and the parents. Thank you @viverridae for love and prayers ;) We are hopeful. I really hope that you reach your goal, I've upvoted and resteemed this post so it gets a bit more visibility. I really hope everything will work out in the end! Every little bit helps. Thank you @daan. Yes every little bit helps. Thank you for the upvote and resteem. Keeping @denion and family in prayer as he overcome this challenging period. Denion is indeed blessed to have a caring sister like you @iamjadeline. May he find peace and rest knowing that everything will be well taken care of by Him. Up voted and resteemed. Thank you @karinzdailygrind for uplifting words for Denion and our family. We were holding on to His promise. Thank you for the upvote and resteem. Thank you @dynamicshine. Yes we are calling out to God for help too. We were holding on to His promise. My heart hurts for your brother and his wife. Its so scary to see a baby fight to live like that. My votes not worth much but I have passed it on to some bigger voters and hopefully theyll take the call. Prayers for the sweet baby to grow big and strong! Much love! Thank you @smylie2005 for your act to pass it on to others. And thank you for your encouraging words. Upvoted and resteem...I will send sbd to your account.I hope this can help you a little bit. hope this baby will be strong and persevering for life because her mother and father are very strong in the challenges and expectations they are going to ... I will pray for @denion and family. Glad to hear that both the mother and baby are surviving, what a scary experience. Your are a great sister to your brother and he is fortunate to have you. Luckily he didn't have a heart attack when he got the hospital bill. I wish them and you well as they try and get through this. Yes we are so thankful both of them survived. Thank you for your compliment and yes luckily his heart is strong to absorb to shock. Thank you for your words and the transfer you have made @sultnpapper. Hi @iamjadeline! You have received 7.87 SBD @tipU upvote from @superoo7 ! Earn daily income on steem: @tipU distributes 100% profit and additional 60% curation rewards to all investors and allows to automatically reinvest selected part of your payout. 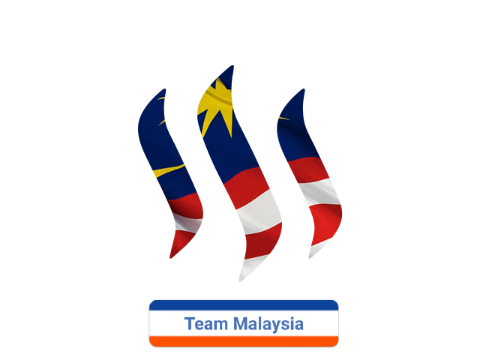 Thank you for the @tipU upvote as well as the transfer @superoo7 ;) I am glad I am in team Malaysia. My prayers are with @denion and family. Bless the family with supernatural miracle and peace! Transferred some tokens. Will continue to pray!!! You are such a good sister, and wonderful person in general! I'm here from the #steemitbloggers fambam, and because my upvote is so tiny, I bought a $1.11 upvote from Smart Steem for this post. Hopefully, not only with the UV be worth more than my dust, it will also give you more votes in general (which hopefully means more exposure for the post). Thank you @traciyork for the purchase of smartsteem for the purpose of increase the upvote of this post. That is so kind of you to do so. Poor little girl! I understand the horrors she (mother) must have gone through! 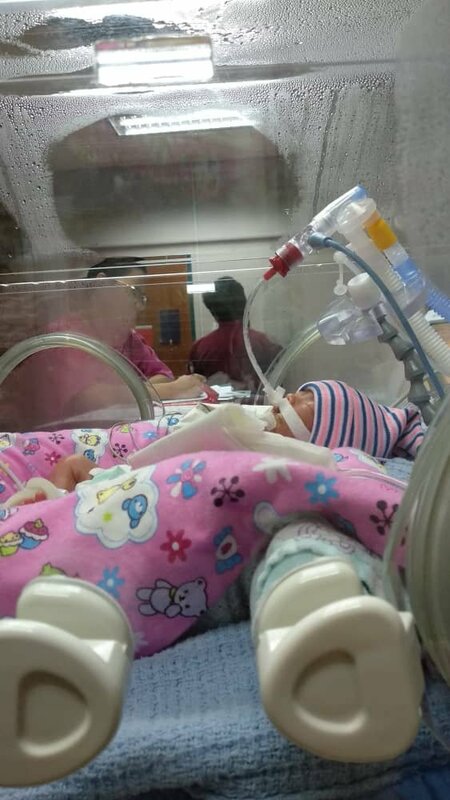 I had an acquaintance who wasn't lucky enough to take her child home as he was born too early 21 weeks :( Thank God she is alive even though the cost of medical care is so high! Praying for God's protection on her and on the family. Praying that God will bless them and give them all the support they need - monetarily, spiritually, emotionally and physically. So sorry to hear about what happened to your friend @vincy. Yes we are holding on to God's promises and keep focus on good thoughts instead of fear. Thank you for your prayer and love. My thoughts and prayers are with you and your family. I hope you raise the money and that all turns out well. Thank you @cheese4ead for the positive vibes and prayers. We are praying everything turns out well too. Thinking of you and your family @iamjadeline. Trust the little girl is well, mum and dad, too. Thank you @fionasfavourite for the positive vibes given. Well wishes going out to this family! Hope everything works out for them. Thank you @basicstoliving for the well wishes. We are so sorry to hear about this. That baby is just precious and such a beautiful blessing. We are sending all of our love and prayers to your family. Thank you @greetersguild for the love and prayers. My prayers for the full recovery of your brother and the wife. God bless. Thank you @baa.steemit for the prayers and support. You got a 4.30% upvote from @postpromoter courtesy of @iamjadeline! How much more can your poor family take?! Enough already I say. I'm so pleased to see that this post is doing well; I did give it 100% upvote and I'm also sending you some via your wallet. Sending lots of love and positive vibes that the baby is ok and hopefully your brother's financial burden can be lessened thanks to your help! I'm going to resteem this post as well in the hopes of it getting more exposure! Lots of love!! 100% upvote, and I sent some SBD, also. Blessings to your family. That’s one of the things I like abput thos platforl: so many good-hearted people. This post has received a 66.60% upvote from @upfundme.net and @tmholdings! Premium members also get an increased vote weight from the upfundme trail! My thoughts and prayers goes to the family, @iamjadeline. May the baby and the mother will be well. God bless. My prayers are for this lovely angel and her mom. All I can do for now is share this post to reach more views and I wish for their recovery. 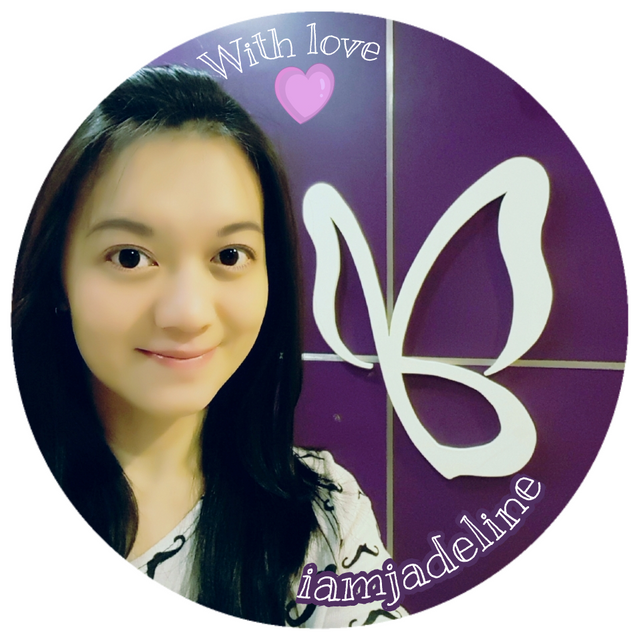 You are such a lovely person Jadeline and you are a great sister. :) My prayers to you and your family. Saddens me to hear the news. My prayers to the family. Everything will turn out well. Amen. Thank you @roselifecoach and yes and amen. Everything will turn out well.